Akshay Kumar's latest Bollywood outing Padman is a much awaited film both for the makers as well as cinephiles in India. Often called as the 'poster boy of patriotism', Akshay will venture out on a mission to provide menstrual hygiene to women living in rural parts of India with Padman, a film based on Tamil Nadu activist Arunachalam Muruganantham. 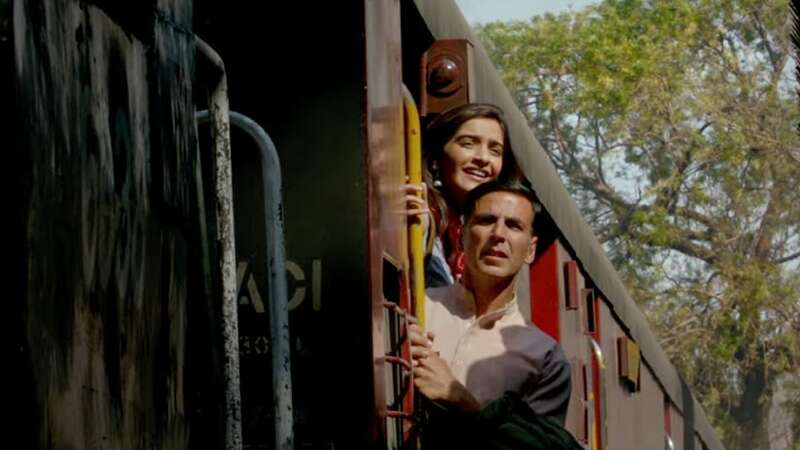 The film's latest song 'Hu Ba Hu' — released today on 4 January — details this journey along with a spark of budding compassion and affection between the characters of Akshay and Sonam Kapoor. While Akshay's character in the film is etched along Muruganantham's over all persona, actor Radhika Apte plays Akshay's wife in Padman. Kapoor reportedly plays the role of an NGO activist who supports Akshay's endeavours to provide low-cost sanitary pads to rural Indian women. Sung and composed by Amit Trivedi, the song 'Hu Ba Hu' bears his musical signature from the get go. The tonality of the song, the rhythm, the tempo — all remind you of Trivedi's songs like the title tracks of Ek Main Aur Ek Tu, English Vinglish. 'Hu ba hu' is penned by lyricist Kausar Munir who has previously written for Dear Zindagi, Meri Pyaari Bindu, Secret Superstar, to name a few. Padman is an adaptation of a short story written by Twinkle Khanna in her second book The Legend of Lakshmi Prasad. Directed by R Balki, the film is jointly produced by Kumar's Grazing Goat Pictures, Twinkle Khanna's Mrs Funnybones Films and Balki, Gauri Shinde's Hope Productions. Padman is slated for a 26 January release.